The first free League of Legends skins and champion that can be obtained is Riot Girl Tristana. This skin is a nice looking which got its rework during marksman update happened in the league in 2015. Obtaining this free skin is to visit the official League of Legends Facebook page for your server region and then like the page. Follow the instructions on the screen to link your account and claim your free champion and skin after liking the page. The skin Riot Girl Tristana features a brand new outfit and boomer. She’s completely changed her color scheme to a new favorite color pink based on a cosplay outfit. Riot Girl Tristana brings a lot of color to summoner’s rift and with only taking few simple clicks to redeem it compared to the default Tristana skin. Garen is a champion with one of the most simple mechanics in League of Legends. Dreadknight Garen is one of the not well known free League of Legends skins and champion. It only takes a few clicks to get both the skins and champion redeemed to your account by following the official League of Legends page on Twitter. 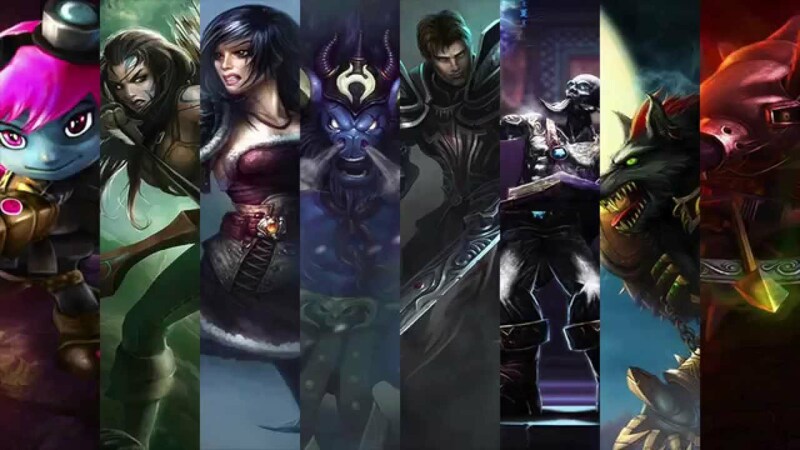 The skin features Garen in a set of new dark armor which give him an entirely different compared to his default skin and his skin was inspired by Death Knight from the World of Warcraft franchise. You’ll be pleased to know he also shares it with Dreadknight Nasus and the two make a menacing duo if you really like this Dreadknight theme. One of the free League of Legends skin and champion you can unlock is Unchained Alistar. Alistar is aggressive and fun support champion you can get. You can have Unchained Alistar in a few simple steps by subscribing to the YouTube channel. You might need to open a new support ticket with Riot in order to redeem the skin to your account since most of the Unchained Alistar redemption links have for some reason expired. This might be one of the hardest to redeem out of all skins but the free skin is a free skin.